The future of retail is in the hands of innovation. As influencers take a more prominent role in the purchasing cycle, technology is embracing the trend and developers are crafting solutions to support this new day in commerce. From e-commerce to shopping malls, tradeshows and beyond a revolution is at hand. Today, omnichannel commerce company Mavatar unveiled a partnership with Sharp’s Strategic Technology Alliance Resource (STAR), which will result in Mavatar leveraging Sharp interactive displays to support mCart and bring mCart Shop-able Walls to life. Once engaged with the mCart, shoppers can search local and universal mCart inventories and explore mCart omnichannel marketplaces. The mCart Shop-able Wall serves as a kiosk enabling consumers access to pick through retail inventories, create smart and omnichannel shopping carts intended for purchase – online delivery or in-store pickup. The pairing will put mCart Shop-able walls on Sharp’s 70” PN-L705H Ultra-HD interactive touchscreen displays at tradeshows and major events , illustrating how effective the mCart, turn-key solution can be. 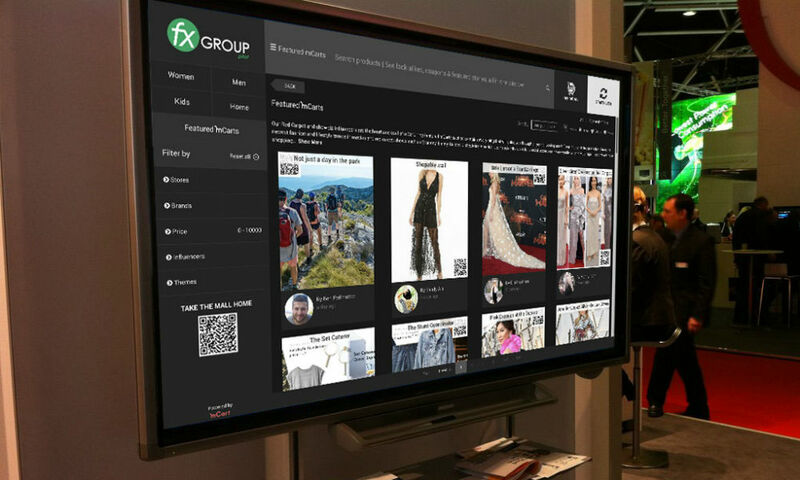 “Shop-able Walls on Sharp Interactive Displays are perfect for anywhere that people are being influenced by content. Airports, hotels, residential complex squares can all use the Shop-able Walls to engage visitors, keep in touch with them after they leave, and build loyalty,” continued Brauner. Omnichannel is the only channel these days, and it is taking tangible form. Our always-on, always plugged-in world demands solutions equipped to meet mounting demands. As the face of retail receives a makeover, sit back and enjoy the show.